Below you can view all the homes for sale in the Sunset Hills subdivision located in Raleigh North Carolina. Listings in Sunset Hills are updated daily from data we receive from the Raleigh multiple listing service. To learn more about any of these homes or to receive custom notifications when a new property is listed for sale in Sunset Hills, give us a call at 919-928-5027. Home Shows Well With An Marvelous Back Yard Garage Is With A Rear Entrance Bring Your Buyers To This Magnificent Home Just Waiting For Your Personal Touches MLS#2250190. 1127. Two car garage makes for easy parking + access. 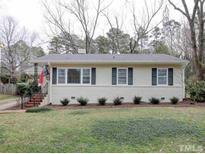 MLS#2248339. 2831. Flawless & full of flair Tuscany Construction style!Builder's personal house w/ elaborate trim,exciting design details,cutting edge everything!The sensational salt water pool w/ outdoor kitchen,fire pits, & waterfall make your backyard a 5 star resort!Viking appliances.in a spectacular Kitchen opens to a huge Family Room & bookcases.Finished elevator makes access to all 3 floors a snap.Master Bedroom suite w/ exceptional bath & huge custom closet*central vac*2018 gas generator*grand media room*spacious wine cellar*Control 4 system* MLS#2245819. 1071. A wonderful setting overlooking Banbury Park + so close to everything fun in Downtown Raleigh. MLS#2235290. 2831. Easy access to everything: Downtown, Research Triangle, shopping + City of Raleigh Greenway. MLS#2227910. 2831. Amazing schools: Lacy, Martin, Broughton Schools. Easy access to everything. MLS#2226882. 2831. Home to be sold in "as is" condition. MLS#2222951. 1071. Lacy, Martin, Broughton Schools. Easy access to everything. MLS#2190140. 2831.